Fingers in Pies have many year’s experience and have edited videos on an exceptionally eclectic range of subjects. 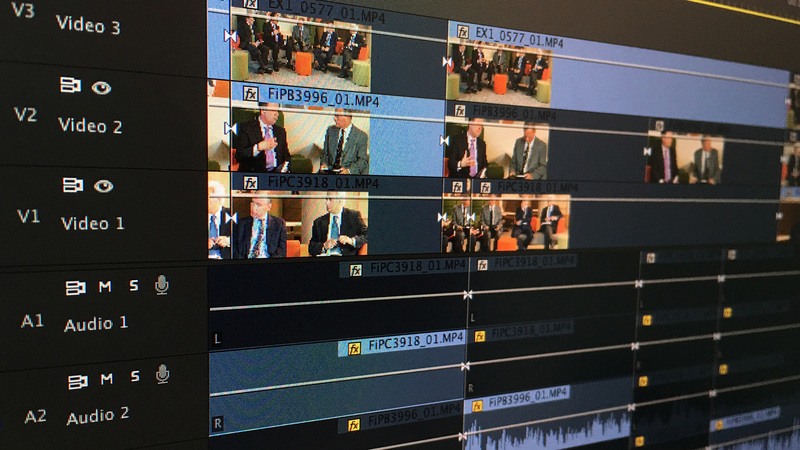 When filming you often get a lot more footage than you could possibly ever use, we are experts in identifying the most salient points and using them to create a concise and engaging video. As brands evolve, so does their style; we are often asked to take existing videos and rebrand them so that they conform to new guidelines, adding a new lease of life to an asset that would otherwise be outdated. We can edit to any style that you want, from the functional classic editing that may suit a corporate communication to a fast-paced edit of a live event. If there's a style you like, or you have existing assets, let us know and we will emulate that style. As always, your branding will be fully integrated into the video, so that it blends seamlessly with your brands identity. We can edit onsite or remotely and offer fast turnaround times to suit your needs. If you want a high-quality editing service that is friendly, on brand and on time, please don't hesitate to get in touch.